Government jobs or PSU jobs are very popular in India. After the 7th pay commission, the salary of Government jobs has become at par with the salary offered in the private sector by top companies. Now more and more MBA pass-outs are applying for government jobs in India. Getting a government job is like a dream for many, but if someone does the preparation with dedication and keep an eye on the available jobs in the Government sectors for MBAs, getting one won't be much difficult. 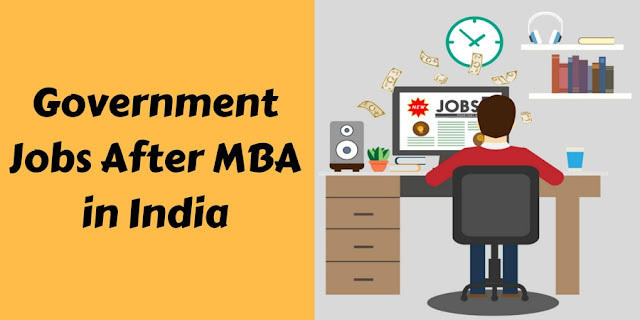 Many MBA students want to get a job in the government sector but they don't know what jobs are available for them. In this article, we will tell you about the most popular government jobs that you can join after completing your MBA degree. Management Trainee is the best job you can apply for as a fresher after completing your MBA degree. Government companies hire management trainees time to time for different positions in different departments such as Marketing, Finance, Human Resource etc. When you will be hired as a management trainee in a PSU, you'll go through a training program for supervisory or managerial positions. PSUs generally conduct an entrance test to hire employees for the management trainee position but sometimes hiring is also done on the basis of merits. At the time of writing this article, some government companies are inviting applications for the position of management trainee. The jobs are available in PSUs like National Fertilizers Limited (NFL), Karnataka Antibiotics and Pharmaceuticals Limited (KAPL), Uttarakhand Jal Vidyut Nigam Limited (UJVNL) etc. You can keep an eye on the government jobs through different websites that publish the latest news on government jobs. In most cases, there is no prior experience is required to apply for this job but in some cases, an experience up to 2 years is required. After completing your MBA degree, you can apply for general manager profile in Banks. All government banks invite applications for general manager profile time to time. Very recently, we have seen that NABARD was inviting application for the post of general manager. 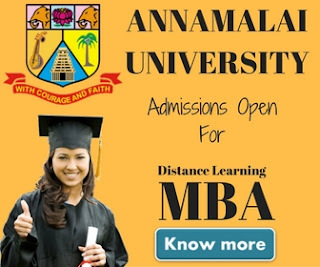 The name of the post was Assistant Manager in Grade 'A' in RDBS (General) and the educational qualification to apply for this position was a full-time MBA degree from institutions recognized by GOI / UGC with Bachelor's Degree in any discipline. A specialist officer is another post that is available in government banks for the MBA students. Marketing Officer, Personnel officer are some types of special officer jobs available in banks. Very recently, we have seen that the Institute of Banking Personnel Selection (IBPS) had released an examination notification for specialist officer jobs in Regional Rural Banks (RRBs CWE VI). For the position of Officer Scale-II Specialist Officers (marketing officer), the qualification requirement was an MBA degree in Marketing from a recognized university. CEO is another type of higher management job that is available for MBAs in the government sector. Although this job profile is not for everyone. Only experienced people with relevant experience are invited by government companies for this profile. In the recent past, we have seen that Indian Institute of Management (IIM) published a notification on their website to recruit a chief executive officer. The education qualification required for this profile was a PG Degree / preferably full-time MBA from a recognized university/institute. Similar to the special officer jobs, PSUs and government jobs also recruit junior and senior-level executives for different departments such as Marketing, Human Resources, Information Technology, Operations etc. Recently, we have seen that Rajkot Nagarik Sahakari Bank was recruiting junior executives and inviting applications from people who are First Class Graduate OR Post Graduate (Except Arts) / PGDCA / DCA / JAIIB / CAIIB / COPA (with 1-year apprenticeship). You must have noticed that government banks and PSUs recruit MBA professionals for the managerial profiles. You can apply for a post based on your MBA specialization. If you're a fresher, you can apply for the management trainee and other junior level profiles but if you have some experience, you can also apply for senior level manager profiles. 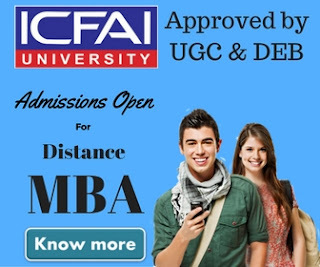 Apart from the positions that we have mentioned above, MBA professionals can also apply for all the jobs, where the required qualification is a post-graduate degree. We hope you must have liked our today's article. If you have any query or wants to share some valuable information with us, feel free to get in touch using our contact us page.